The eighteenth hole at the Victory Park disc golf course, where the annual Angry Squirrel Disc Golf Tournament is hosted. The squirrels may be angry, but that won’t stop disc golfers from traveling to Albion this weekend to compete in the sixth annual Angry Squirrel Disc Golf Tournament. The 18-hole tournament, which takes place this Saturday, April 13, and Sunday, April 14, at Victory Park, received its name thanks to the large number of squirrels that can often be found frolicking about the park. Squirrels aside, Albion’s course at Victory Park is popular with avid disc golfers, according to Ian Monkman, Pleasant Ridge junior. Kyle Formanczyk, Macomb sophomore, agrees with Monkman and enjoys the challenge the Victory Park course presents. Professional disc golfer Larry LaBond, who is in charge of organizing the tournament, thinks the course’s popularity is due in part to the pretty and unique surroundings, but he also admits that the challenging water holes make the course more interesting than others in the area. Despite the perceived difficulty of these unique water hazard holes, LaBond encourages players of all skill levels to take part in the tournament, even if they have limited experience. For those who are not quite sure they want to enter the tournament themselves, LaBond says that simply spectating can be just as entertaining, especially at the Victory Park course. “It’s fun watching players, both good and bad, especially when they play these water holes because they are a risk-reward kind of thing,” LaBond said. Interested players can pre-register online for the tournament or register on the morning of the tournament at 8 a.m. Registration frees begin at $38. 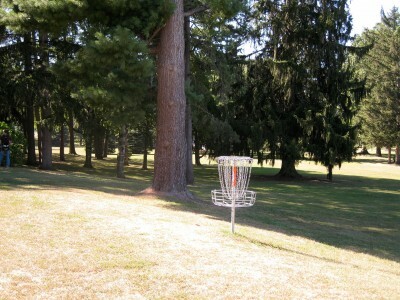 For more information, visit kacesdiscgolf.com.